Encompassed by the Ouachita mountains, “Middleton Branch Ranch” is the perfect place for a homestead, retreat center, or bed & breakfast. 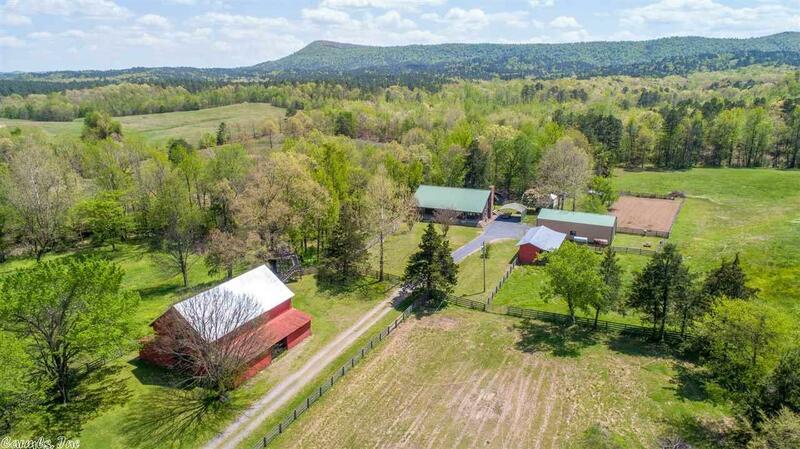 The fully-furnished cabin boasts soaring wood ceilings, a bright/open floor plan, gas cooktop & double oven in kitchen, gleaming hardwood floors & loft upstairs, flowing brook, 2 stocked ponds, freshly-tilled garden, 50X60 Red barn, 30X50 pristine shop, horse barn w/4 stalls & tack room, & 74+/- acres of valuable timber. Too many features to list - come see for yourself!